This is the 3rd book in the Boy Sherlock Holmes series, where readers get a peek at 14 year old Sherlock as he walks down the road to becoming the master detective he will someday be. In this case, Sherlock is hungry for recognition since the credit for the solution of his past two mysteries was taken by Inspector Lestrade of Scotland Yard. When wealthy young socialite Victoria Rathbone is kidnapped without a ransom note, Sherlock is eager to solve the case, but there are no clues. Then a ransom note is finally received and from the smallest clue, Sherlock is on his way to the solution. 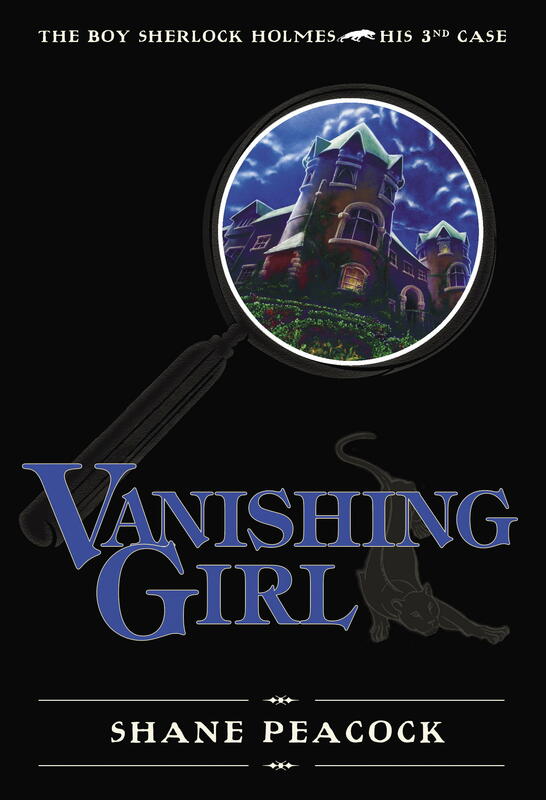 He is certain he has solved the case, only to be stunned when the missing girl turns up in a completely unexpected location. Disappointed, Sherlock returns to his studies. But when more mysterious circumstances plague the Rathbones, Sherlock realizes there is much more to this case than first met his discerning eye. Can he solve it before the worst happens? Readers will be pleased to see more of Irene Doyle, young Lestrade and Malefactor in these pages and will be eager for the famous detective's next case.